This hotel is located on the border of Hyogo and Kyoto Prefecture. Our spring water makes your skin silky and smooth. Come try how great its water is. 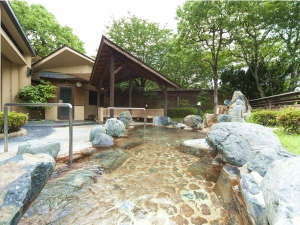 We offer a hot spring in the woods, which has the drifting fragrance of trees. As only abundant nature is around us, you can slowly relax in a present. Note: The hotel is not suited in "Kinosaki Onsen" area. It is approximately 1 hour away from Kinosaki. It is classic plan of the hotel that offers a variety of seasonal cuisines. The menu is included about 13 original dishes. 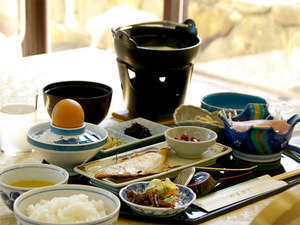 We will serve healthy Japanese-style breakfast. 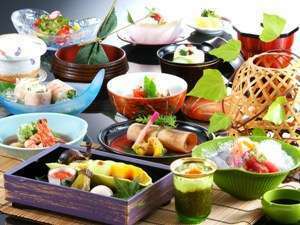 * For children aged 10 to 12, we will serve smaller portions of Kaiseki dinner and one plate “kid’s meal” for children 9 and younger. * Dinner will be served at the banquet hall and at the hall, banquet hall or lounge for breakfast. * Menu may change depending on ingredient availability. All guestrooms have been no-smoking since May 2016. There are two smoking areas in the hotel. -Silk Onsen- Geothermal heated hot spring waters come up through ancient granite located 1,100m below ground and has a rich composition that has a reputation for leaving your skin feeling smooth and silky soft. 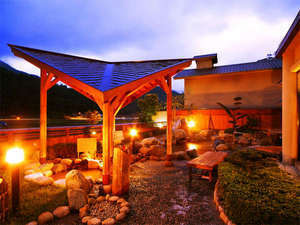 There are spacious indoor bath, open-air bath, 100% hot spring source, cold water bath and waterfall shower. Massage facility. Ice cream (from 300yen) souvenir shop for Tajima area goods. ***NOTE*** * Extra charge for hot spring taxes (JPY150 per person) is adding. * Every third Wednesday and the day before (March 21, May 16, June 20, July 18) are the days to make an inspection of hot spring. It is available from 17:00 to 23:00. * Please be notified that souvenir shop and restaurant are closed on the day listed above. (If you make a booking with no meal plan or plan with only breakfast, there is no dining place or restaurant close to us) * To the guests who want to stay one day before of the day listed above, Please be noticed that hot spring is open only until 7:30 in the morning. Our spring water makes your skin silky and smooth. 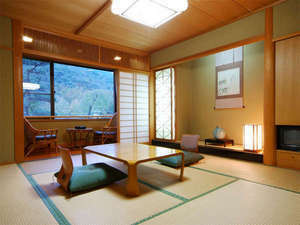 Japanese style room (about 17m^2). Washroom and restroom with bidet.No smoking. Payment method : Cash, Credit card. 8 mini kaisei (8 dishes) and Salisbury steak, deep fried shrimp. Salisbury steak, deep-fried chicken, rolled omelets, sausage, ham and vegetables, shashimi, steamed egg hotchpotch, rice, soup. One plate meal with salisbury steak, deep-fried chicken, rolled omelets, sausage, deep fried shrimp, fruits, two small rice balls. Children 5-12 years old (or 1~6 without meals and bedding) are not charged except bath admission fee JPY 400 yen later. Price includes consumption tax and service fee. A separate charge for bath admission fee JPY 150 yen will be charged later. For further details, see our accommodation policy.